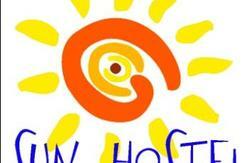 Belcity Hostel is a new hostel located in the old part of town (called Vracar). This is one of the most beautiful parts of the city, starting from the Slavija Square which is two minutes’ walk from the hostel. The narrow, crooked streets of our neighbourhood are lined with houses and smaller buildings that are among oldest in Belgrade. We offer a small number of beds, impeccable cleanliness, a pleasant environment and friendly staff who will give you a sense of a domestic atmosphere. 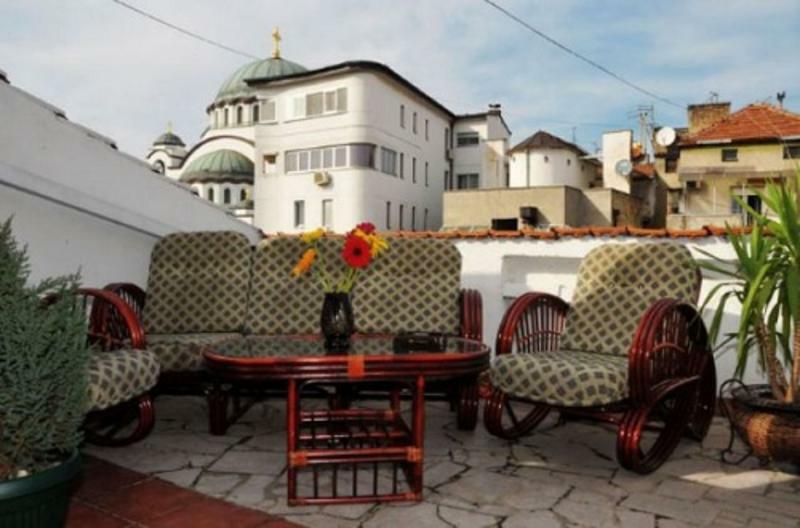 A special charm of our hostel is a large sunny terrace where you can enjoy the view of Saint Sava Temple. The location of our hostel (only five minutes’ walk from the city centre) enables you to enjoy sightseeing around Belgrade without using public transport. It’s easy to see the best of Belgrade, whether you like cultural and historical monuments, museums, galleries, restaurants on the water or enjoying nature. We’re open all year ‘round, with 24hr reception. We have two four-bed rooms and two double-bed private rooms. There’s free linen, towels, slippers and lockers for each guest, as well as free Wi-Fi and free coffee and tea all day long. At each bed is a personal reading lamp. Guests are welcome to use our iron and ironing board or the hair dryer. Hot showers are available 24hrs a day. We have free brochures and maps of Belgrade! Cook up a meal in our guest kitchen, watch cable TV in our large lounge or chill out on our sunny terrace. 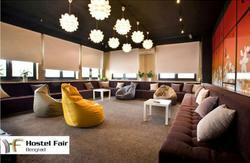 We have a very quiet and safe environment and the highest level of cleanliness so you have nothing to worry about here. 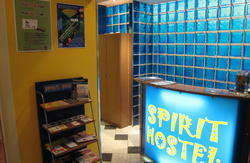 Hostel is 15 minutes walk from the railway and bus stations. The bus from the airport, has a direct line to the railway station or one more to Slavija square. From bus or railway you will see Temple Saint Sava, or from Slavija. Biggest Temple In Europe. Back side of Temple is locate a Hostel. From the airport you have direct minibus 'A1' to Slavia square. ticket costs 250 dinars (about €2.50). He goes every 20 minutes. And this is the best option. If you decide to get a taxi, it costs €13 maximum. Be careful, because taxi drivers are crooks. From the train and bus station is 300 to 400 dinars (€3-€4 max) Stop the taxi a little further from the station itself!! !